Did we get a family of 5 to Berlin for free? So several months ago, I got an email from a friend of mine. She and her husband were planning a once-in-a-lifetime trip to Berlin this summer for their family of 6 and wanted my help in figuring out how they could use miles to defray the cost. Her husband’s expenses were being covered by his employer, but they were looking for how to get the other 5 of them there with miles. I wrote a post back in the spring about how they could get it done. The trip happened this past summer and I could tell from Facebook that they had a great time. I was curious as to whether or not they were able to get the flights for free or not, so I asked for a trip report. Here’s Harmony with the details! So, your post about how to get five of us to Berlin for free suggested going with American on the outbound flight using a stopover in a gateway city (PWaC: Note that American no longer allows these free stopovers) so we could take advantage of off-peak fares and do it for 100,000 points instead of 150,000 points. Then the return trip would be with United for 150,000 points. The credit cards you suggested were two Chase InkPlus business cards, a Chase Sapphire card, a Chase Southwest card, and two Citi AAdvantage cards, giving us a total of 158,000 Chase Rewards points which transfer to United 1:1, 52,000 Southwest Rapid Rewards points, and 106,000 American AAdvantage points. 1. We simply should have started earlier. Our travel time frame was late May thru June. We did our first churns at the end of January. If we had churned 3-4 months earlier, I think we could have made the whole plan work exactly as intended, especially considering we had some fairly expensive auto repairs in October or November that would have helped with our spending. And if we had completed the spending earlier, we would have been able to book earlier when there were more options for rewards tickets still available. Hindsight is 20/20. 3. We were approved immediately for most of the cards we applied for. 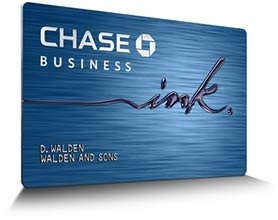 The Chase InkPlus business cards were the only exception. I called to have mine reconsidered (or whatever they call it) and got approved. My husband didn’t want to bother, in part because he hates talking on the phone, and in part because neither of us were super thrilled about trying to justify a business card for our EBay accounts. So that was just wimpy on our part. On the other hand, coming up with $5000 more spending on that sixth card within our time limitations would have been difficult anyway. 4. Sometimes life gets in the way of the best laid plans. More on that later. So I started the spending with the Southwest card and the two American cards, in order to book the outbound flight as soon as possible. When I got enough points to book, the plan to start the trip with an American domestic flight to a gateway city (Dallas) during offpeak for a stopover, fly home that same day on Southwest, then return to Dallas on Southwest when we wanted to continue with our American leg to Germany in late May/early June wasn’t an option anymore. I think the American flights (that weren’t British Airways) from SLC to Dallas had disappeared from the schedule–or maybe they just weren’t available for rewards travel by the time I got to them. I checked several other options for other American gateway cities, including Chicago where my parents had been called on a mission and could help transport us between ORD and MDW, but I couldn’t find anything else that worked. The reward flights that were available required more points than the 100,000 I had, so trying to travel offpeak wasn’t helpful anymore. In the end, squeezing in an extra domestic flight with four children was stress I was glad not to deal with. I kept spending and kept trying to work out a new plan. Nothing quite fell into place as I’d hoped, but I’d gone to plenty of trouble, and I had points, and I was determined to use them as well as I could. Then, somewhere in the middle of trying to figure everything out, life happened. In mid-April found out I had a kidney disease which could have prevented me from flying altogether–meaning trip cancelled. It took almost a month–to get tested, diagnosed, on meds, and finally get clearance from my doctor to travel. So by the time I could make a new plan happen, we were just outside of two weeks of when we wanted to leave, and there were even fewer rewards flights available anywhere close to my point range. Needless to say, I had to scramble. I’m leaving out lots of details I’m sure you’d love to have, but I just don’t remember all the steps I took and in what order. I wish I’d written them all down as I went, but the spending and the kidney mess was about all I could handle on top of everyday life–and with Jeff already in Germany. If I remember right, I ended up with 50,000+ Southwest points, 100,000+ American points, and 100,000+ United points. I think when I looked for American flights from SLC to TXL that weren’t British Airways (with the astronomical fees/fuel surcharges), there just weren’t any options. I don’t remember exactly how I came up with the plan I did, but I ended up going back to the Chicago idea so I could have my parents help us. Again, thanks so much for your help and support to make it happen. -Then explain that you would like to split the PNR so that you can pay for the award travel out of two separate accounts. -This will keep all the PNRs linked together. I’ve successfully called in more than once on my upcoming award that has such scenario, and they’ve always seen the two linked PNRs together. – in case if IRROPS, everyone should be kept together. – no need to pay transfer fees from one account to another.